Provide the tutorial of mirror system, step by step it is simple installation and operation. It supports software keyboard(system interaction without keyboard/mouse). We can provide CD and Web link with a hands-on tutorial documentation and video installation tutorial, it is conveniently install. 1) In order to make the 3.5inch LCD working better, we suggest that you use our mirror system. 2)SUPPORT Only (Raspbian, Ubuntu Mate, Kali and Octopi) for you to make it work in your current system. It DOES NOT SUPPORT "NOOBS" installed them. If you try other OS systems, you will be starting at a white LCD panel. 3.5 inches TFT touch monitor: Compatible with Raspberry Pi 3 2 Model B and Raspberry Pi B. 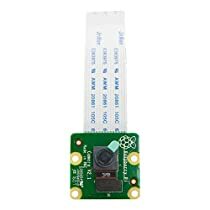 For the starter: We will provide a variety of official mirrors (with on-screen driver) for Raspberry Pi 3B 2B, simple installation and operation. Compatible operation system: (ONLY Support the Raspbian,Ubuntu Mate, Kali and Octopi systems and we will provide installation guide). 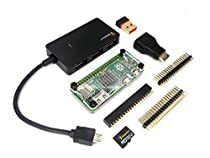 NOT SUPPORT "NOOBS" installed Raspbian or other OS choices. The 3.5 inch TFT LCD is powered by RPi GPIO Pins. Without requiring an external power supply. 3.5inch TFT display has sensitive and stable touch function. It is an ideal alternative solution for monitor. Best e-mail Tech Support! And good product. I had trouble initially with the instructions and missed the support link. When I finally did contact support, they jumped through hoops to get me up and running. After several e-mails back and forth, they sent me a step-by-step process to add the screen to my current Octopring setup. And it's working marvelously! Great tech support and the screen is nice and clear! 1) due to the chips on the back of the LCD it is not possible to fit the screen well on top of the case. To do so the pins need to be somewhat loosely in the slots and the screen then doesn't fit flat, more like at a 10 degree angle from flat which makes it unsteady to use. To get a flush fit I had to remove the clear top layer of the case, and also remove one of the hex nuts from one corner screw because the corner of the screen was too close to the bolt. It works but I'm not loving it, seems like overheating due to lack of ventilation might be an issue over time. 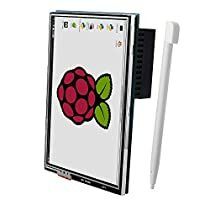 If you want to connect the screen to your rpi via the ribbon cable then this should not be a problem for you. 2) the fan doesn't work with the screen since they use the same pins. I definitely recommend this product even with these couple of peculiarities. Would be 5* if an alternative top layer of case was included to allow flush fit of the screen on top. I will update this review with any developments.